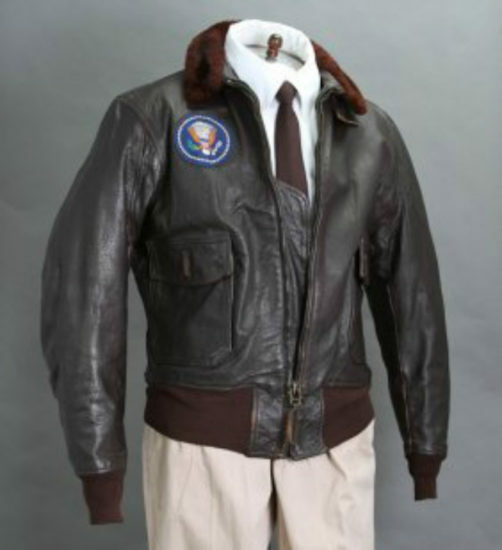 One of the most beloved President of the United States, here’s a chance to own his original leather bomber jacket, approved with a Presidential seal sewn on it. One of the most beloved past presidents of the United States, JF Kennedy was also the youngest, at just 43 when he was elected. His youth shone through his attire, usually a tailored suit and tie. But he did not shy away from more casual and cool outfits. 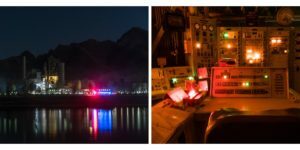 Cold War? Pssh. 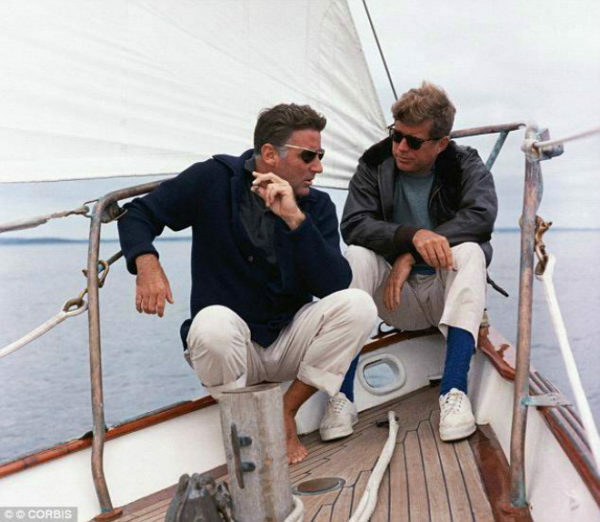 The 35th President of the United States, Kennedy can also rock a pair of shades, chinos, a nautical top, and a leather bomber jacket for a cool off-duty look. Now, you have a chance to own one of Kennedy’s actual leather G-1 bomber jackets in an upcoming auction. 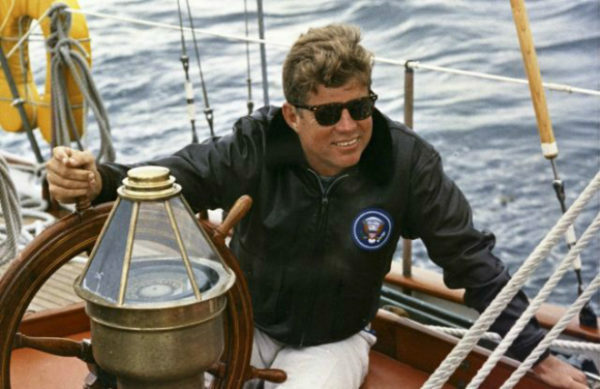 Purchased by White House Supply and Logistics Officer Lt. Henry Hirschy for the President, the leather jacket comes with some letters to prove its authenticity, along with an 8” x 10” color photo of President Kennedy wearing an identical jacket on his Yacht. Marked with a Presidential seal on the left breast, the classic bomber was certainly Kennedy’s jacket of choice on days off duty. This bomber jacket was recovered from the President’s yacht, the Honey Fitz, after Kennedy’s assassination. Designed to be a custom fit for the president, the bomber jacket is pretty close to a size 44. 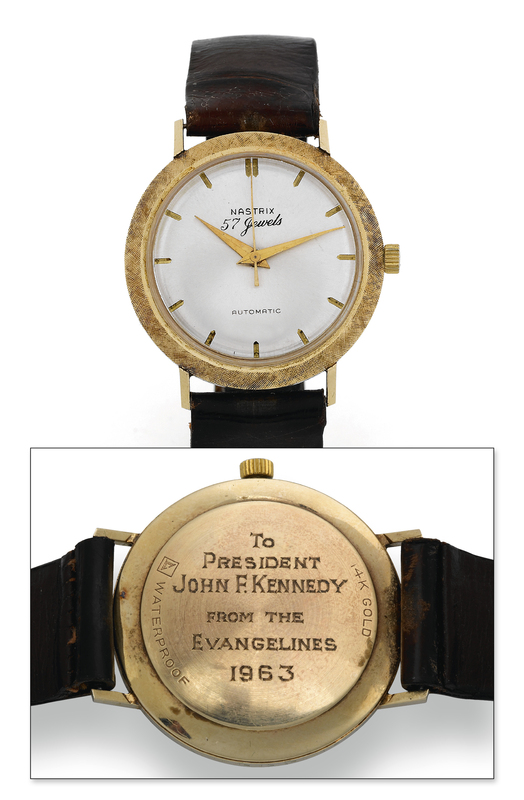 In 2013, one of the most profilic sales of Kennedy’s personal items was a similar Air Force One bomber jacket, which sold for $629,000. 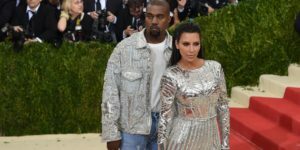 Although the jacket is valued at around $80,000, it will be worth anticipating how high the bid will go up to for this bomber jacket.